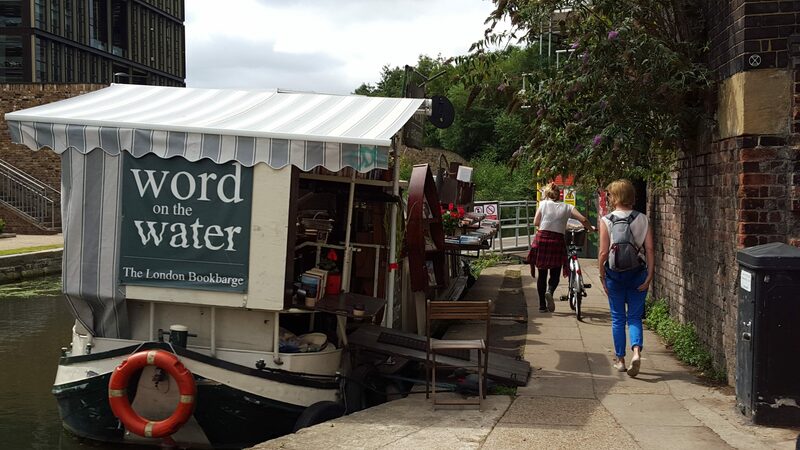 Whilst on a Cultural jaunt with friends and the Junior CW’s we stumbled across Word on the Water, a second hand book barge moored up on the banks of the Regents Canal at the back of Kings Cross. None of us can resist a book and so we all piled on board to see what treasures we could unearth. The Diary of a Nobody caught my eye. Charles Pooter is a clerk, and has been for twenty years, for Perkupps in the City of London and has just moved into a new house in Holloway when one April he decides to start keeping a diary. His reasoning being that he has often seen reminiscences of people of whom he has never heard simply because they are a ‘Somebody’ and doesn’t see why his should be any less interesting despite being a ‘Nobody’. We meet Mrs Carrie Pooter and their troublesome son Lupin, along with neighbour Mr Gowing, keen tricyclist and friend Mr Cummings and the James family who live in rural Sutton. Much of the humour revolves round Mr Pooter’s sense of his own importance and the frequent puncturing of that importance by upstart tradesmen, domestic staff and his own son. George Grossmith provided the words and his brother Weedon the pen and ink illustrations that pepper the novel. Had Mr Pooter been a twenty-first century suburban commuter he would undoubtly have been a blogger in search of a book deal. 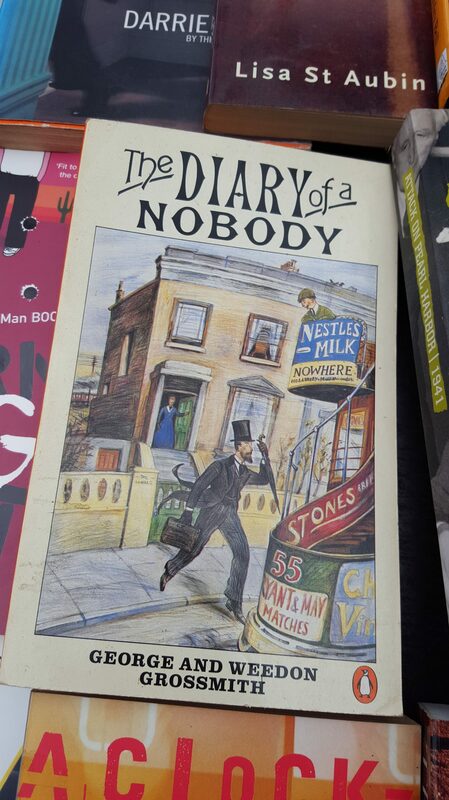 The Diary of a Nobody is a quick and an amusing read. Should you engage in a daily commute it would provide a pleasant diversion from your fellow travellers. There are many different editions available from Penguin and Wordsworth Classics, among others, to buy new but second hand bookshops on land, on water and online are awash with copies.